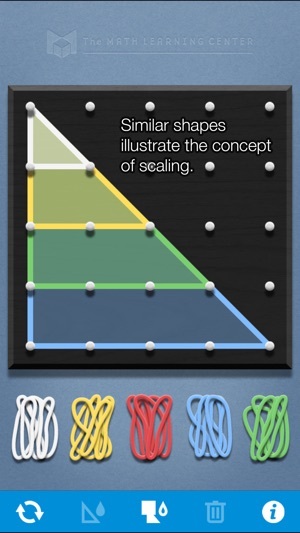 Geoboard is a tool for exploring a variety of mathematical topics introduced in the elementary and middle grades. Learners stretch bands around the pegs to form line segments and polygons and make discoveries about perimeter, area, angles, congruence, fractions, and more. 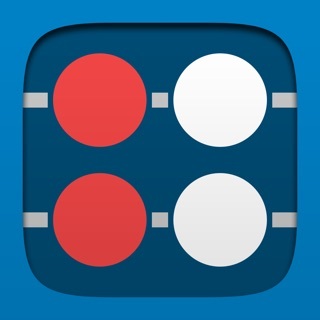 This virtual version of the manipulative is an open-ended educational tool, ideal for elementary classrooms and other learning environments that use iPod Touches, iPhones, or iPads. 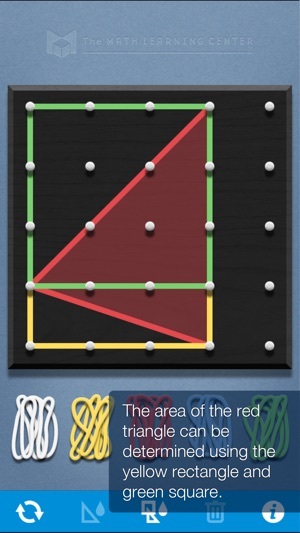 • Create line segments and polygons by stretching bands around the Geoboard’s pegs. • Choose from 5 different band colors; 8 band colors on the iPad. 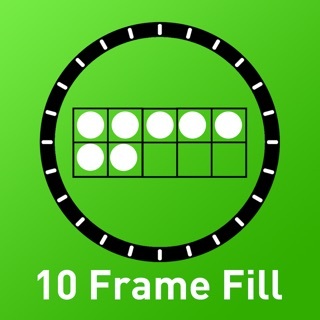 • Fill individual shapes with a transparent color, or use the Fill All button to toggle all the bands between filled and unfilled. 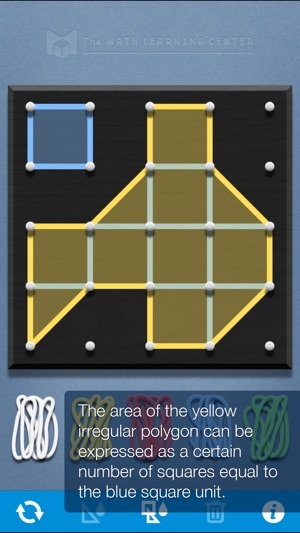 • Switch between the standard 25-peg square board, a rectangular board with 150 pegs, or a circular board with 13 pegs. 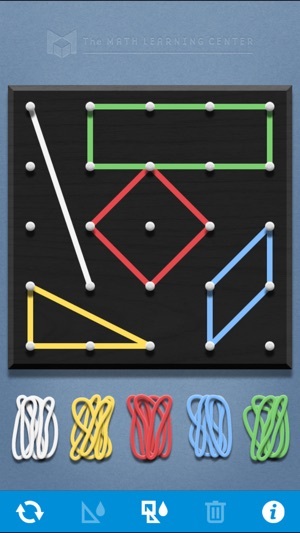 The circular board enables explorations with angles, fractions, and time measurement. 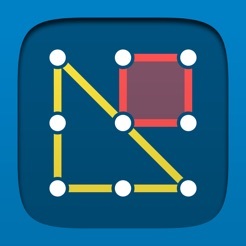 • Duplicate shapes then move, rotate, or flip them to explore symmetry and congruency. • Change the color of selected bands. 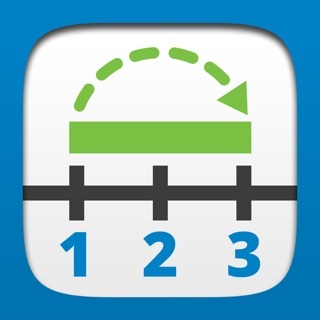 • Display grid lines with or without numbering to more easily calculate area and identify shape locations. 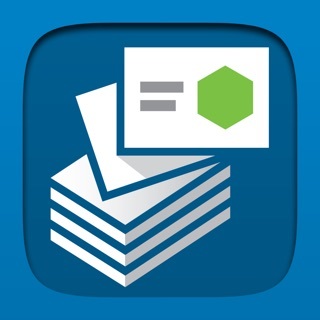 • Write equations and expressions with the text tool. 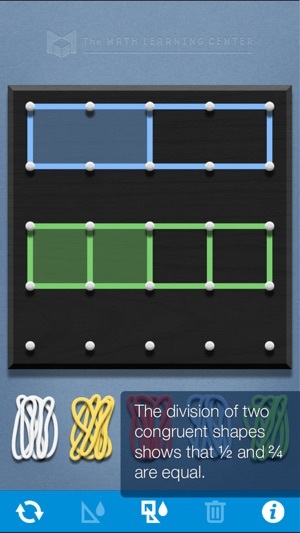 The Geoboard app was made possible by a generous donation from Dr. David Moursund. • When fractions are created using the text tool, they are automatically converted to the stacked fraction format. 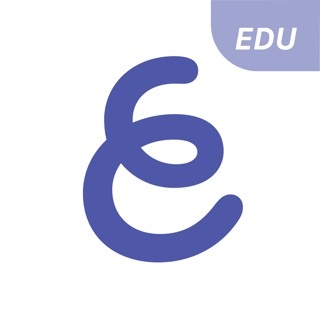 • More symbols for writing equations and expressions. So, as a 2nd grader, my Spanish class is working on shapes. She said we had to download this app and practice shapes. She said t’s REALLY fun, too! And guess what? It was! 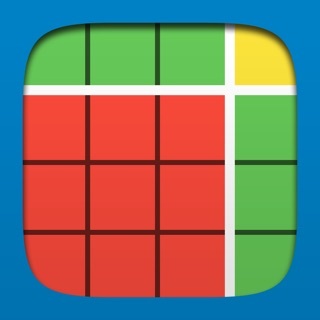 Whoever hates this app, never tried making shapes at least. I just want some updates to the app so it can be more fun. 1. Custom colors! Kids love using different colors and like making small drawings with shapes, so they might need a lot of colors. 2. Saving Projects. I know, some people try it for the first time and their like: “Oh, cool!” And then the next day, they go on the second time and their project isn’t saved. That’s when people get mad. So, please add that. This app is great, but these were some opinions and suggestions. Have a good day!